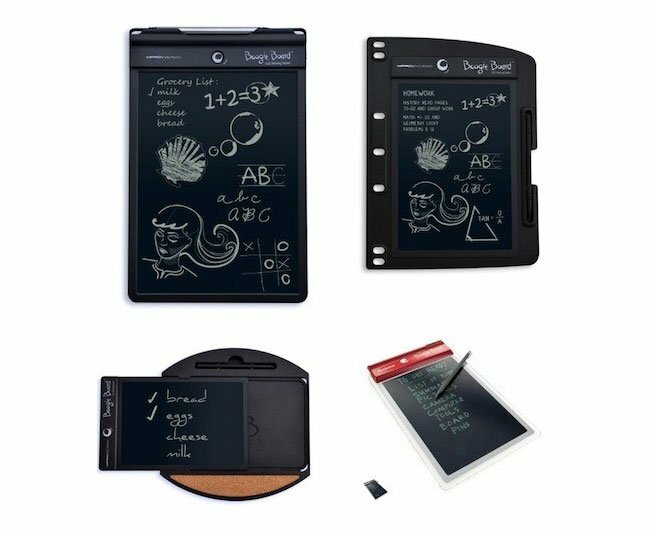 You might remember the Boogie Board LCD writing tablet we featured back in January last year which is the modern day equivalent of the a black board and chalk. Today Improv Electronics the company that created the Boogie board has launched four new Boogie Board products as part of the company’s Push Green efforts. The new updates include a 10.5 and 8.5 inch LCD Writing Tablets together with accessories. 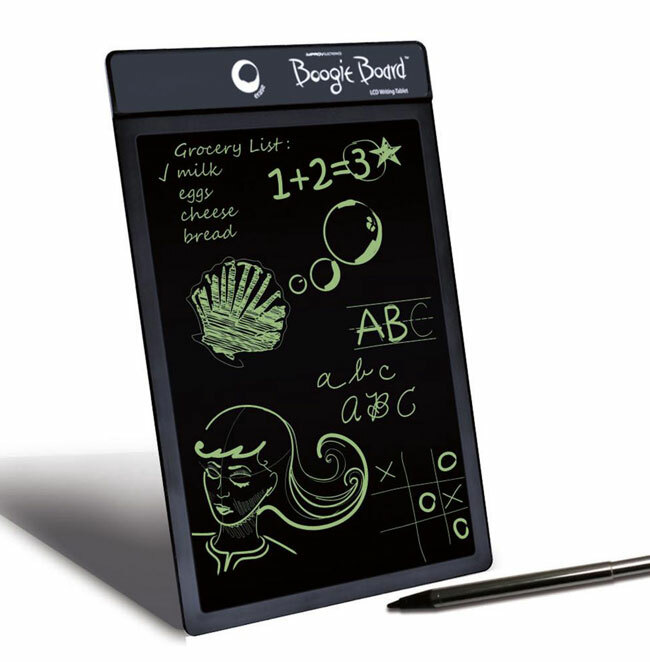 The Boogie Board LCD Writing Tablet is equipped with a non-powered LCD screen which turn from dark to light when ever an pressure is applied to it using the included stylus for instance. Once you have finished and would like to clear the page simply press the erase button and a surge of power through the LCD screen erases your content leaving you with a lovely clean slate once again. The idea behind the device it to provide a quick method for taking and making notes, and one set of batteries will provide enough juice to enable 50,000 cycles, or six years if erased 209 times per day. Which should keep you busy for some time at least. The new Boogie Board is now available to purchase for $60 together with a number of optional extras, such as the Boogie Board message center (currently on pre-order) that enables the tablet to be hung on any flat surface such as a wall or fridge for easy note making.